Despite the plenty of streaming platforms and equipment, vinyl is still on the top. 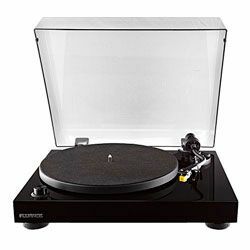 That’s why any music fan would like to find out the best turntable under 1000 to enjoy analog sound without spending too much money. To provide clear and well-balanced sound with good bass and treble, the record player should be equipped with high-quality tonearm. The neutral sound is possible due to the high-tech magnetic carts. The sturdy building is also important to provide a long record player’s working life. The turntables under 1000 introduced below feature all those abilities. Besides, they provide strong torques to ensure precision speed with very low flutter and wow. Some models can be used for DJs’ creativity and they’re also great for easy listening. 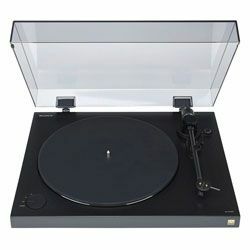 While the best turntable under 1000 boasts a high level of performance, a high-end model over 1000 claims to offer more. The main difference between units on a budget and expensive turntables is in the equipment. The latter ones offer almost zero vibrations when producing perfect plinths and super-heavy platters. This influences the sound quality, but no one ever feels the difference if he/she is not a pro or a sophisticated audiophile. Both mid-range and high-end models can be belt-driven. In other words, they have an elastic belt to spin the platter to reduce any harsh vibrations that are generated from the turntable’s motor and to provide clearer sound, as a result. However, common direct-driven units are present in both price segments as well. This model is noted for a glass platter and a rectangular plinth that is available in red, black, and white laminated finish. It also has a removable dust cover. The platter is made of 10 mm-thick glass to enhance speed accuracy. The unit features 9-inch aluminum tonearm that consists of tube and headshell. The bass is tighter and the resolution is higher due to that enhanced tonearm. This model lacks in-build preamp that’s why it needs an external source of amplification. For example, it can be added with Mini A2D phono stage that is compatible with any digital audio editor. The British company Ruark Audio designed is especially for Rega Planar, as well as a pair of speakers. The turntable doesn’t require many adjustments to deliver good sound but to set the tracking weight for 2 g is recommended. The sound is clear without resonance from the table that comes through the speakers. A stylus force scale makes for easier setup and a protractor is included for cartridge alignment to avoid tweaking. The glass platter is heavy enough and a platter bearing is good. The mat on the glass platter is little and not round. It is off by a bit and looks off balance while spinning. Motor noise is audible and it is amplified when the dust cover is closed. This belt-driven turntable is produced with a synchronous motor that has low voltage and low vibrations. Besides, the unit has DC supply to feed the motor’s power and avoid whooshes between tracks. Its voltage fluctuations have a good impact on speed stability. The Pro-Ject Essential II has a sturdy MDF platter with good damping properties and a high-quality finish to protect it from humidity. This model has a lightweight base and special rubber feet to escape the needle’s feedback. The tonearm isn’t long and made of aluminum. It comes with Ortofon OM5e moving magnetic cartridge and stylus. 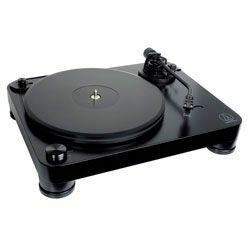 This cart is rather expensive if buying it separately, that’s why the Pro-Ject Essential II has the right to become the best $1000 turntable despite its manual speed change as many other mid-range units have. The cart’s stylus is elliptical, boasts a low wear rate on records, and allows getting distortion-free sound. Deep and tight bass that is crystal clear even in the upper range. Highs are detailed and crisp, as well as treble. It is especially heard when listening to cymbals or any other similar instruments. The tonearm is too delicate and needs to be careful when using it. The drive belt around the platter is difficult to handle and it falls off very often. No auto return on the tonearm. 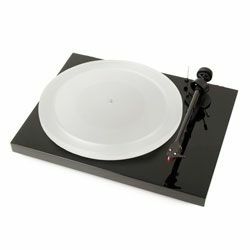 This model attracts with is premium-looking design when coming with a matte acrylic platter to eliminate static or electrical charge from records, carbon fiber tonearm for less resonance, and piano lacquer finish. 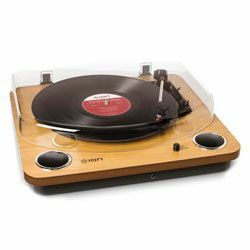 Like other units in this price range, the SP model comes with a removable dust cover to save the record player from dust and possible cart damages. The unit is equipped with the entry-level cart Ortofon 2M Red. Note that to reach the optimal tracking force, threading on a counterweight and balancing the tonearm is necessary. This turntable under 1000 dollars boasts electronic speed switching. The preset maximum speed is 45 RPM, but it is possible to listen to shellac disks at the speed of 78 RPM after the proper stylus will be installed. The tonearm’s RCA left and right cables are detachable (they can be plugged and unplugged) that allow changing it for upgrading and better sound, if desired. This model is not very powerful or dynamic but fluent and tonally rich. The performance is great without hum, motor noise, buzzing, or any other audible defects. All parts are put together well and fit each other perfectly without errors for the motor, tonearm, sub-platter, etc. Manual instruction is clear to provide easy setup. The acrylic platter is weighty enough to have no wobbling. The unit doesn’t fit DJ scratching or heavy-handed tampering. To turn the record player off for replacing the record, one should press and hold the speed control for some seconds, as there is no stop/start or on/off knob. This turntable is designed for DJs to play and mix records. It’s a direct-driven model with a powerful motor with a fast start-up speed that can be lowered optionally via quartz-lock speed controller. The motor is also high-torque and is completely isolated to eliminate rumble and vibrations. It comes with the LED ring around the platter, pitch range controls, and some new isolating feet. Those feet are not in the corners of a chassis, as almost all DJ turntables have. They are by 0.78” on the long edge and 1.37” front and back that leaves more space to run cables easily. 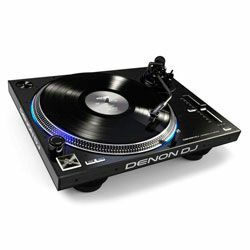 The turntable’s design is a combination of dark and light side panels, emblazoned with the Denon DJ logo. This model comes without both a dust cover and an option to fit it with hinges. Its cabinet is made of brushed black steel and looks good but not perfect because of 19 screws on it (however, they make it more secure). The turntable’s base is the chassis is rubberized and solid. The platter is weighty enough due to a hefty layer of rubber that provides good feedback isolation. The unit has high-quality buttons that are made of hard plastic and are brightly backlit. Full and warm sound irrespective of genres and qualities of vinyl. It skips some tracks during the scratching. The player has a rather simple design that is a brand feature of Thorens that’s why it looks like just a square mono-block. This model has the speed selector at the bottom left corner and a dust cover. The device is completely automatic (plug-and-play) to start playing music in a minute. It is a belt-driven model and its motor has DC power control. Besides, it is possible to play both new and old (shellac) records due to the speed that can be enhanced from 45 RPM to 78 RPM. This unit is perfect for the newcomers in the world of vinyl because its tonearm doesn’t need alignment or balance. The TD 170-1’s tonearm has auto-return and the turntable switches off either when the record finishes playing or when selecting “stop” via the switch. The turntable requires the external amp and additional adjustments for better performance, as a result. After calibration, it produces accurate high-quality sound without skipping even when playing very old records. No distortions in the playback of all musical genres. The unit compatible with four carts that make it possible to enhance its performance, for example, to make it more responsive to low‐level details. Fits medium spaces up to 300 feet with non-standard layout design. The tonearm’s stylus is included in the package, but it’s not pre-mounted and needs installation. This model is a belt-driven deck with the built-in MM phono preamp that can be switched off if connecting the external one for the upgrade. Its cart is developed to provide good channel separation and stereo imaging, as well as high-frequency response. 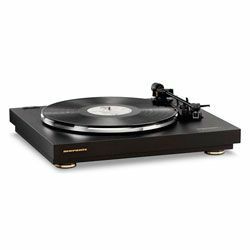 The Audio-Technica AT-LP7 is a two-speed model that gives no opportunity to play old (Shellac) records. It has a thick platter made of a special developed non-resonant polymer (low friction thermoplastic) to dampen vibrations. The unit’s chassis is made of MDF and it is thick as well to eliminate acoustical feedback. 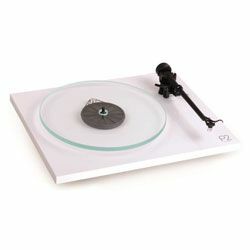 The turntable comes without a mat in the package that could be added optionally. The unit’s tonearm is J-shaped with the elliptical stylus and it comes with metal bearings and a removable pre-mounted AT-HS10 headshell. The stylus is removable as well, and its replacement is cost-effective due to the affordable price of the other six styluses in the compatible with this turntable VM line-up. Good package that includes RCA cables, a 45-rpm record adapter, and a dust cover. No USB output to ‘digitize’ vinyl records.